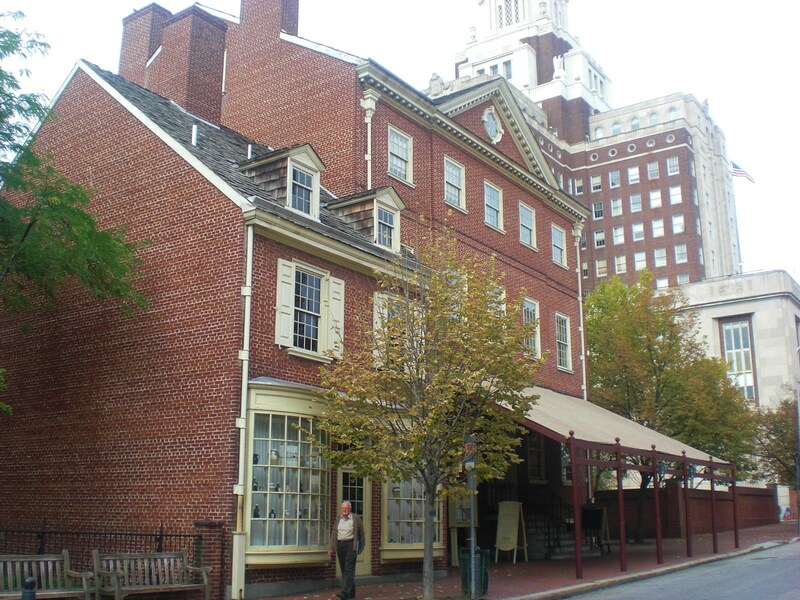 In 1774, two years before the declaration, delegates from the 13 colonies met in Philadelphia’s Carpenter’s Hall. They met to discuss what could or should be done regarding their collective issues with England. In 2013 you can gather to the same location to see National Park employees in period dress wander around. They will tell you stories, answer questions, but mostly they are ambiance. 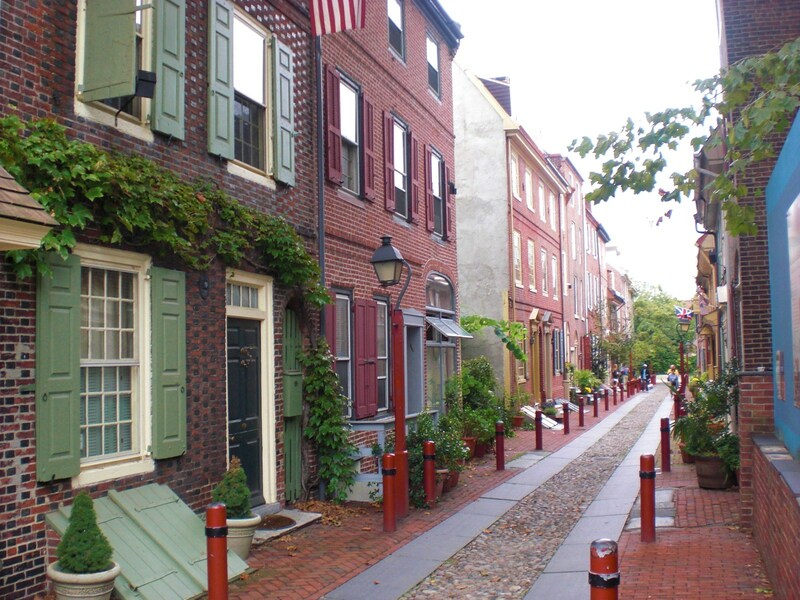 Just a few blocks away is a small row of homes that have continuously housed private citizen’s from the days of the tri-cornered hat, all the way through our Phillies hat wearing present. Once or twice a year the residents open their homes up for tours. It is a mix of history and modern home and garden. When we went we hung out drinking wassel with Ben Franklin. 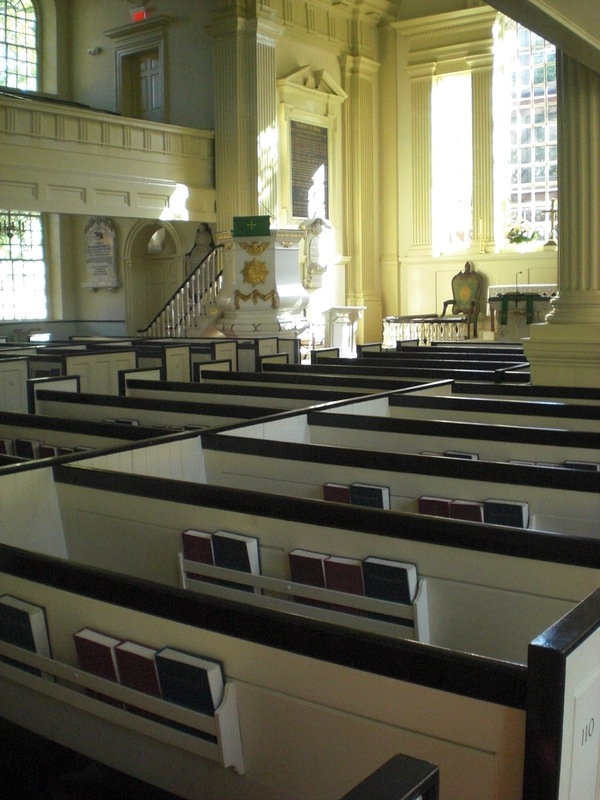 Christ Church was built in 1695 and is the original home of the American Anglican faith. Ben Franklin is buried in their grave yard and anyone who was ever important while wearing knickers and stockings worshiped here at least once. Joseph Smith, who I doubt ever wore knickers, even preached a sermon here. On the first Friday of every month the place is surrounded by homeless looking artists and street performers. We love Christ Church on first Fridays. 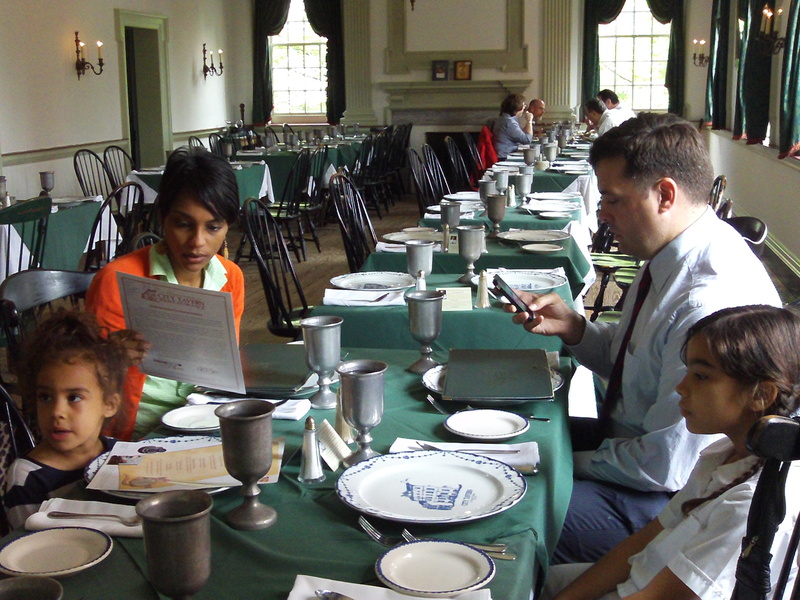 City Tavern, was in fact a tavern back in the days of George W. and the other revolutionary types. 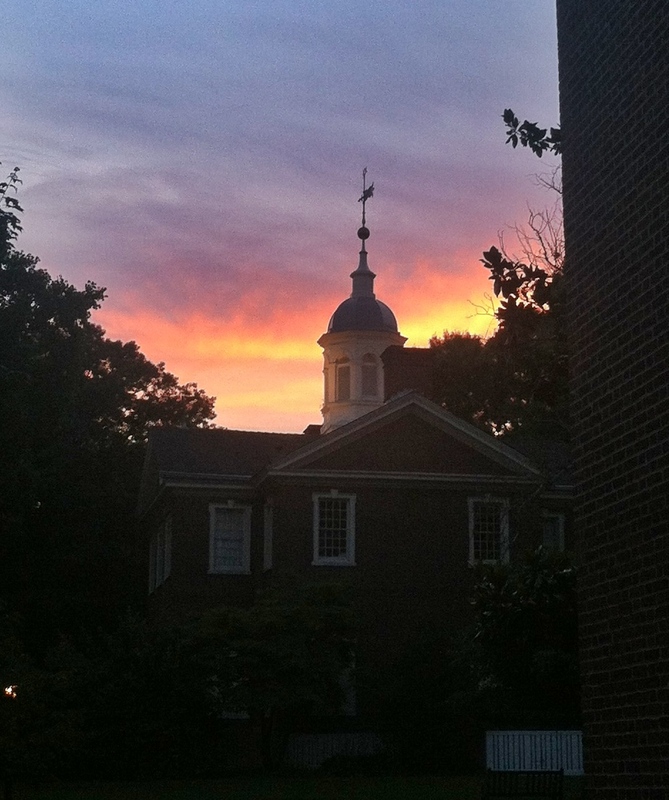 Legend has it that more got done at the tavern over a pint of mead than was ever accomplished over at Independence Hall. I accomplished eating orange braised duck and leg of lamb with mint jelly. The last time I was there our waitress was a PhD student in history. She should talk to her advisor about that stipend. We park right next to City Tavern all the time. There is a movie theater across the street; the independent kind that shows artsy stuff. 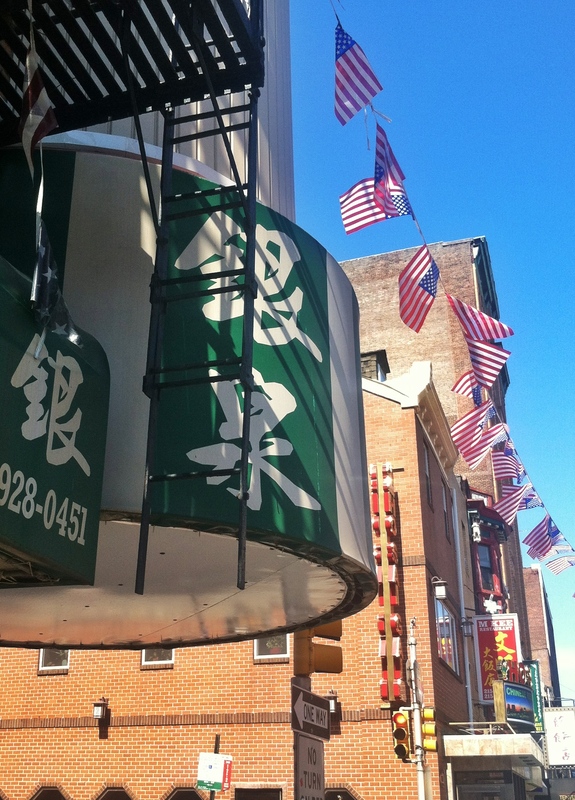 The most American part of town is called China Town. I’m not exactly sure what was there back in the colonial days, but I do know that the colonials came here seeking the freedom to seek their fortune. That’s the same reason folks come to China Town. On one side of the street is Independence Hall, where they signed the declaration, and on the other side of the street is the Liberty Bell. We rarely go in to see it, there is a large window right on the sidewalk. But the bell is turned so that if you want to see the crack you have to go inside. Sorta like the media. America is great, but we have some issues, but we don’t really like to show those off. 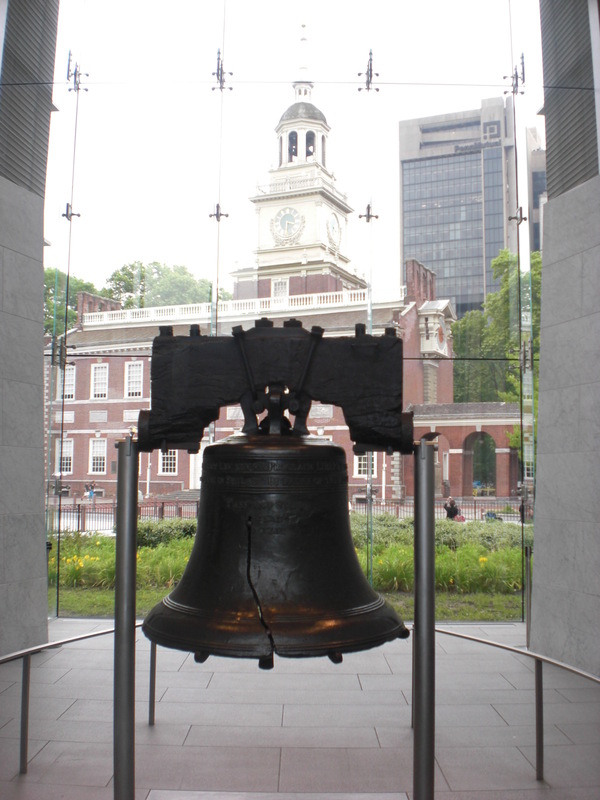 We drive past the bell all the time, usually while looking for a parking space to go to the park. There is a park a block away that has a carousel and a playground that is all fenced in. Ya know, the kind where you can set the kids free and not have to worry about them escaping. Which is ironic since most kids don’t want to escape a playground. Playgrounds are awesome. Just like Philly. Happy 4th. i grew up outside of philly (west chester), and I still have family there. I miss is so much this time of year!!! thanks for the post. The pictures are great. Makes me want to go home and walk around philly. (and, let’s be honest, go to wawa for a hoagie).